In a development health experts are calling alarming, two bird flu patients in Vietnam died after developing resistance to Tamiflu, the key drug that governments are stockpiling in case of a large-scale outbreak. The experts said the deaths were disturbing because the two girls had received early and aggressive treatment with Tamiflu and had gotten the recommended doses. The new report suggests that the doses doctors now consider ideal may be too little. Previous reports of resistance involved people who had taken the drug in low doses; inadequate doses of medicine are known to promote resistance by allowing viruses or bacteria to mutate and make a resurgence. Dr. Anne Moscona, a flu expert at Weill Cornell Medical College in New York City, called the deaths frightening and said they demonstrate the dangers of hoarding drugs. "People who stockpile will naturally share or take drugs at the wrong dose, and that's really a bad idea," said Moscona, who wrote an accompanying commentary in Thursday's New England Journal of Medicine. Since 2003, avian flu has killed about 70 people, mostly in Vietnam and Thailand, and nearly all involved close contact with infected birds. Health experts fear the virus could morph into a form that spreads easily between people. Tamiflu and another drug, Relenza, are expected to be the front-line defense if that happens, but they must be taken soon after infection to be effective. Tamiflu, made by Swiss-based Roche Holding AG, is the favored drug because it appears to be effective against all kinds of flu, including bird flu. GlaxoSmithKline's Relenza requires an inhaler and has not been widely tested in people with avian flu. Concerns about Tamiflu resistance surfaced in October when doctors discovered it in a 14-year-old Vietnamese girl who had been given low doses as a precaution because she was caring for a brother with bird flu. She survived, and doctors theorized the low doses caused the resistance. 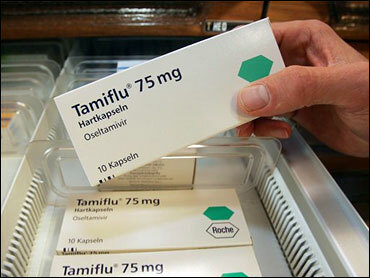 The new report involved eight Vietnamese bird flu patients given Tamiflu upon being hospitalized in 2004 or 2005. Half of the patients died. Lab tests showed two of those who died — girls ages 13 and 18 — had developed resistance. In the case of the 13-year-old, doctors were especially surprised to see resistance because she was treated within the time frame when the drug was supposed to be most effective. The study was led by Dr. Menno de Jong of Oxford University. David Reddy, who heads Roche's influenza pandemic task force, said the study merits further investigation into whether patients need more of the drug. Roche is conducting animal studies of different dosages to see which works best. Results are expected early next year. In addition, Roche is working with the World Health Organization and the National Institutes of Health to begin a human experiment next year that would test whether doubling the current recommended Tamiflu dose is more effective, Reddy said. Bird flu has some health experts worrying about hoarding of Tamiflu, which is tight supply as countries scramble to stock up. In October, Roche announced it was suspending shipments to U.S. wholesalers and other private-sector recipients to ensure enough Tamiflu for the regular flu season. Roche is also negotiating with other companies to increase production.